Across many organizations, Power BI has become a pervasive tool to share insights. For some of our largest customers, users have so much Power BI content available to them they are seeking new ways to discover and manage the content that matters most. 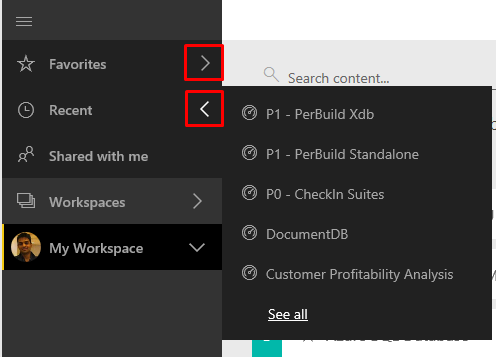 Last December, we introduced a preview of a new navigation experience for Power BI to make Power BI better suited for the growing amount of content. Since then, more than 10,000 users have tried out the preview. If you are one of these early adopters, we are thankful to you – your feedback has allowed us to continuously improve and make it even better, adding features like related content and shared with me. The next step for the new navigation is happening soon. 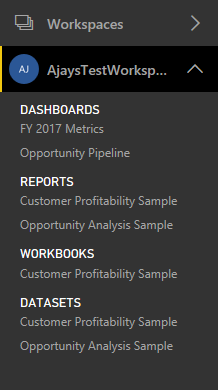 Starting in early May, all Power BI users will get the new navigation experience by default. Now is a good time to update any internal training material or documentation that you might have. If you still haven’t tried the new navigation and would like to do so before it becomes the default, click here. 1. 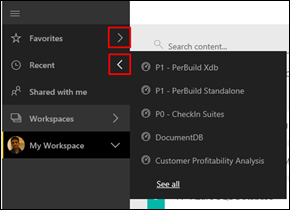 An easy way to switch between different dashboards, reports and datasets in your workspaces through the quick access area. 2. One-click access to your favorites and recents from anywhere in the application, without switching the current page. 3. 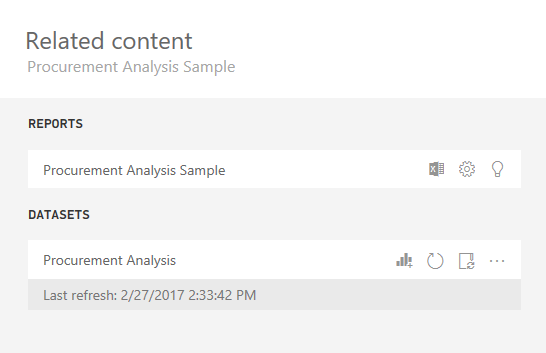 Easily find all related dashboards, reports and datasets with the View Related Content pane.